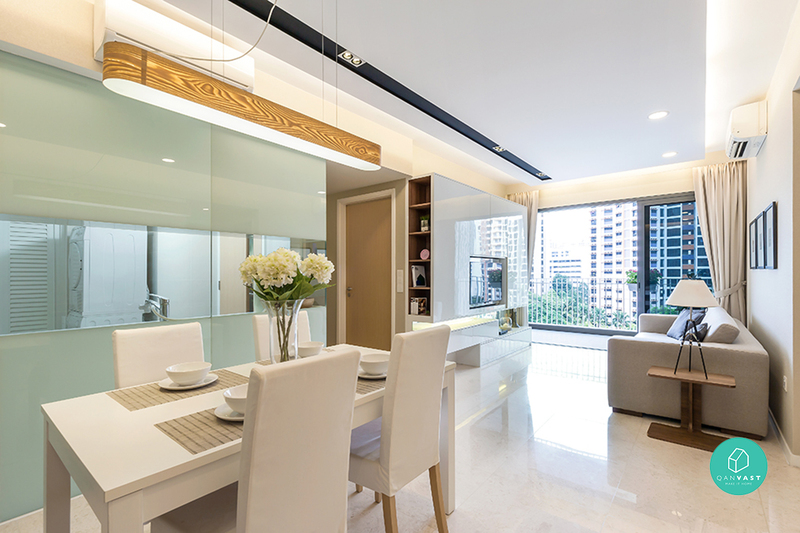 Clutter is so yesterday; today’s homes are all about creating a modern minimalistic style that is trending these days. Who says you have to do more to be more? These eight stunning modern minimalistic homes show us exactly how to do less to live better. 1. Some homeowners tend to overcrowd spaces with decorative items but this homeowner understands that less is more for this modern minimalist home. Keeping to a wood theme creates warmth while ambient light further enhances the mood. 2. When in doubt for a modern minimalist home, always go white – just like this homeowner for this stunning home. We love the sleek black lines that are evident throughout this home – the tables, the staircase, the door and window panels – just like how we’d imagine an architect’s firm to be. Go with plants as décor items for that pop of freshness. 3. For his modern minimalist home, this homeowner chose one colour theme – beige and white – and stuck with it throughout the home to create a flow. Again, the idea of a modern minimalist home is to do away with too many decorative items; here, black framed photos do just the trick to “lift” the space in a subtle way. 4. Love the idea of incorporating Mother Nature in the home concept, especially in the bedroom where a relaxed ambience is important! An outdoor shower is definitely unique while smart enclosures (like the hidden refrigerator) keep things sleek and modern. 5. Key to a modern minimalist home is to keep the furniture on a need-to-have basis only, just like this condo. Too many chairs or tables in a room makes it crowded so make sure to create space by going minimal on the furniture. Pick those that also double up as concealed storage space so that you can keep clutter out of sight. 6. 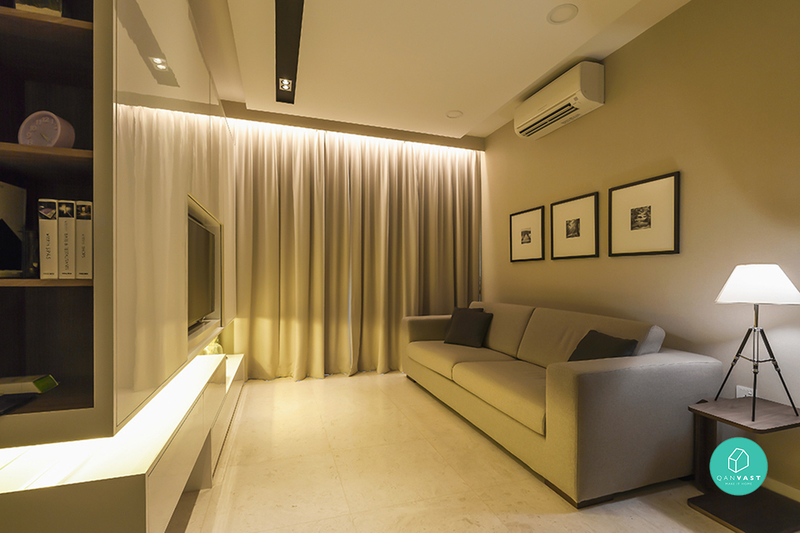 Grey, black and wood seem to be the popular tones for a modern minimalist home, like this condo in Ping Yi Greens. The grey and black add a hipster-cool factor while wood creates a homely ambience. Love the tidy kitchen where everything has its place – concealed or organised. A funky pattern – like the zigzag rug – shakes things up a little bit for some texture fun. 7. Dark wood seems to be the finishing of choice for many modern minimalist homes, just like this Dawson terrace. It is masculine and stylish; it is definitely chic and cool. Offset it with marble – like this homeowner – to give it a luxe concept. Smart concealed storage space is a great way to hide clutter in a modern home. 8. Talk about chic – this condo definitely has that modern minimalist Airbnb feel that we absolutely admire! Grey lends a cool tone while wood elements make it more homely. Sleek lines further emphasise the minimalist approach. Everything on display shows an afterthought as to whether it subtly blends in the entire theme.